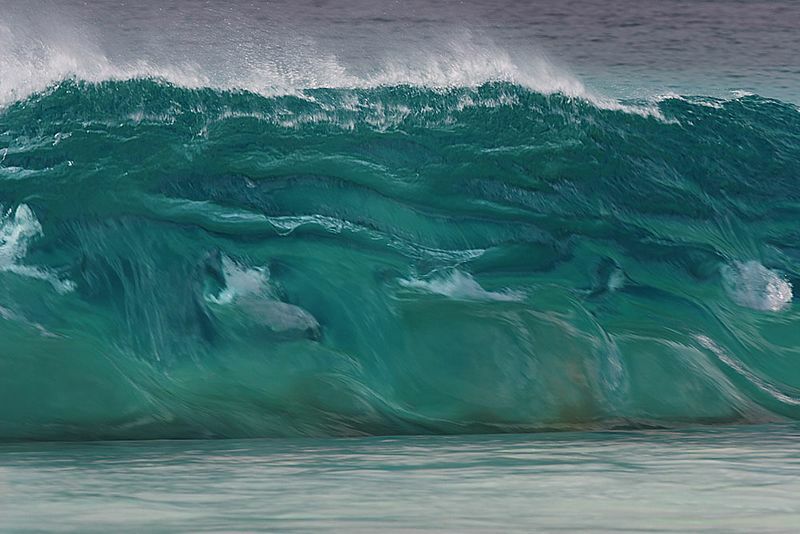 A green wave at Blinky's Beach. Shot with Canon 300mm L Image-Stabilised Lens. 1/125th@f6.3, 100ISO. While the wave looks huge, it was maybe 1 metre in height. Strong westerly wind blew the spume from the top of the wave. From a surfer's eye, this is sheer terror; water dredging from a sand bank. But the more you look into this wav the more complex it get ... wave upon wave upon wave: "Sara Lee"